The international annual BALTOPS maritime exercise – the largest to be held in the Baltic Sea, started earlier this week. For the first time, parts of the exercise will take place on Finnish territory. This year the exercise is arranged for the 44th time. According to plan approximately 6,100 soldiers, 49 vessels, 61 aircraft and three submarines from 20 countries will take part. Finland has participated in the exercise since 1993. This year, Finland will host a training part of the BALTOPS exercise, with an approx. 600-strong amphibious battlegroup in Syndalen on the south coast. Finland, Sweden, the United States, Holland, Italy, Great Britain and Germany will participate in the training phase, which takes place on June 6-8. “Finland’s unique coastal areas offer excellent circumstances for exercising naval interoperability under the BALTOPS exercise,” Finland’s Armed Forces write in a press release. The aim of the Finnish part of the exercise is to build and test the interoperability of participating units. The coastal area at Syndalen, with its shallow waters and numerous islands, offers unique and challenging exercise conditions. Finland participates in the amphibious part of the exercise together with Sweden as part of the bilateral FINSWE cooperation program. According to Yle, this is the first time NATO forces will be training on Finnish territory. The forces landing in Finland include 200 US Marines, 60 British Marines, 50 German soldiers and an Italian intelligence team, the broadcaster reports. 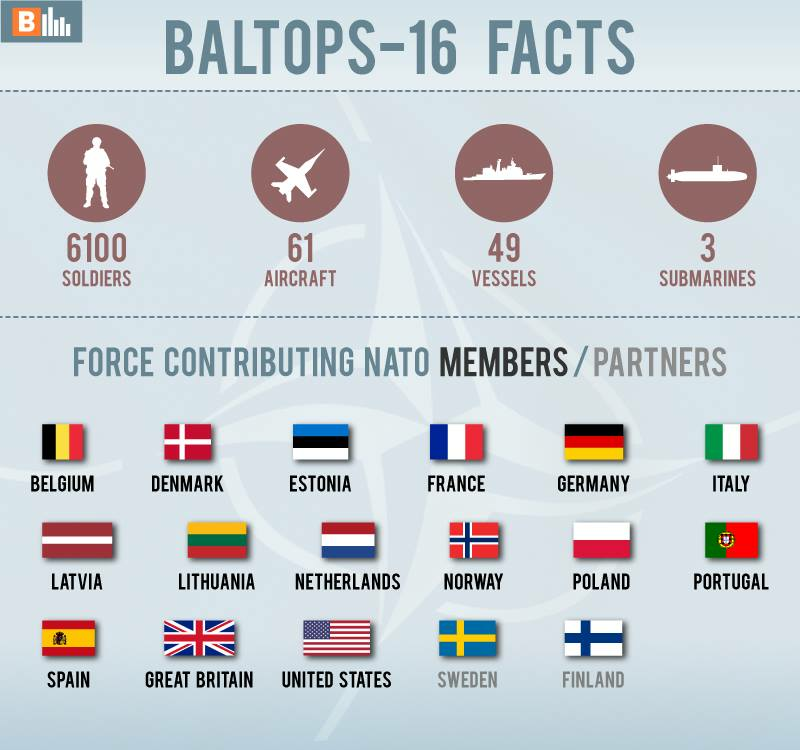 According to Naval Striking and Support Force NATO (STRIKFORNATO), which has command over the BALTOPS exercise, the aim of the exercise will be to demonstrate the interoperability of NATO allies and partners and to assure nations of NATO’s commitment to the security and stability of the Baltic Sea region.